Who's been struggling with weight? I know, I am. I don't even go to the gym anymore because I get stressed rather than getting healthy. I stopped like a year and a half ago and gained some weight. It was also pretty hard to lose and I had to remove a couple of things on my diet. 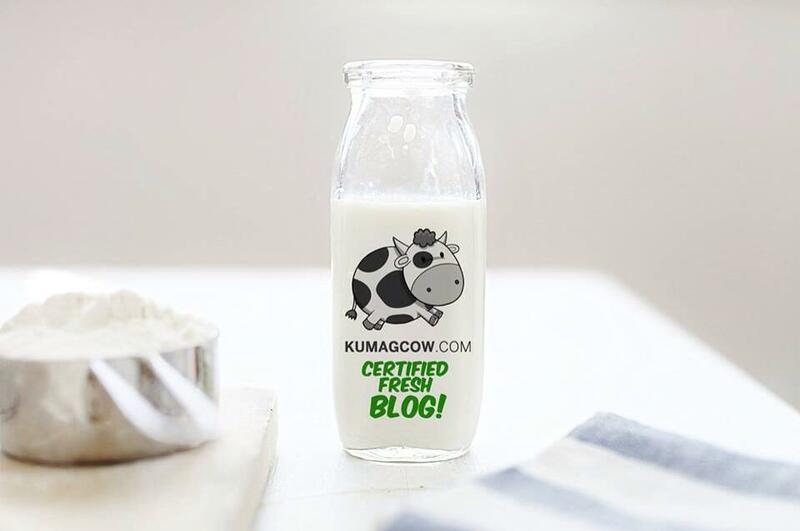 I also had some tests done on which food I wasn't meant to be eating (not for allergies but for food intolerance) and that meant I had to cut back on milk, bread and rice. I do what I can to at least live a happy life and try not to deprive myself because I still enjoy food. Other than that, I need a lot of great encouragement so I could work out. Good thing I'm winning with the Philam Vitality Active Mobile App. You see, the Philippines didn't fair well in Asia Pacific last year and it is getting worse. This is not good news and Philam Life knew it had got to be a part of the solution to make each Filipino be a part of the Philam Vitality program. 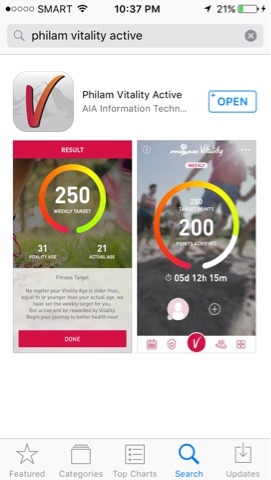 This has been going on since 2015 and the gist was to make you make better decisions about your wellness like what they are doing with this Philam Vitality Active App. The program has been successful and they wanted this to be a bit more interactive and this will get you a little more excited taking extra steps, extra mile and effort to do that exercise regimen you've always wanted to do. The app actually will reward you if you are able to achieve weekly goals which I did with a pedometer on my iPhone's Health App. Here's how you can get it. Download the Philam Vitality Active App on your phone. You can get it on Google Play here and iOS here. After installing, register for a FREE ACCOUNT then if it asks for a code enter activemika OR activealyssa. It should proceed with the registration. Make sure you put in your correct details because I assure you this will be worth it. You'll get to earn REWARDS after each accomplished goal. You would need something to measure your activity so it would be best if you have an Apple Watch or Fitbit or anything that would function as a pedometer. Since I couldn't find my Fitbit and Android watch, I used the built in Health App on iOS and it actually worked great. 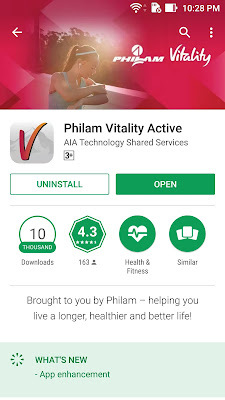 After you've set it up, connect it to your phone and click on Link Device Or App option on the Philam Vitality Active App. The iOS Health App actually works like when you walk on the Pokemon GO game where you can't really cheat. It doesn't count when you're moving too fast so don't even try. Aside from that, other apps can work well too like Runkeeper or Strava. There will be corresponding points for each activity but I did the walking since I don't have that much time in my hands as I cover events almost every day. 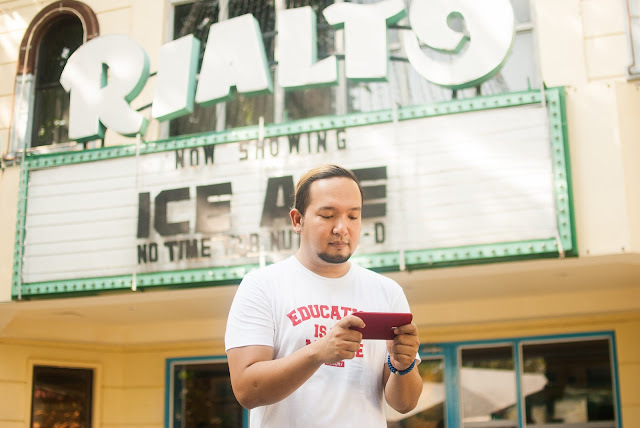 You can read about it on the help option of the Philam Vitality Active Mobile App. The App through a series of questions can tell you your Vitality age which could be more or less your actual age. Try not to be depressed because it's fixable. 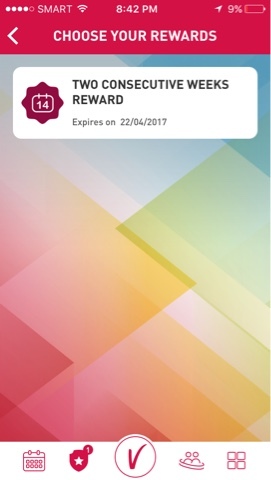 The Vitality app can track your exercise routines, the number of steps you make and set goals for you in a week. If you get the goals achieved, then you get rewarded. But if not, you can try again the week after that. It took me 3 weeks to actually finish my first task because I was really busy, and didn't know my Health App wasn't counting things as it wasn't running in the background the first week. I got that corrected and joined other people traveling so I could enjoy the walking activity. It was so hard for me because again, I was using the Health App LOL! So if you have wearable technology, try that instead because it's easier. I'll have to update this post about my progress, but you need to download the app now so you get the perks that I will eventually will have. There, I am claiming it! I'll update this entry soon so stay tuned! After two weeks of achieving my goal of 7500 a day, the app just rewarded me today! 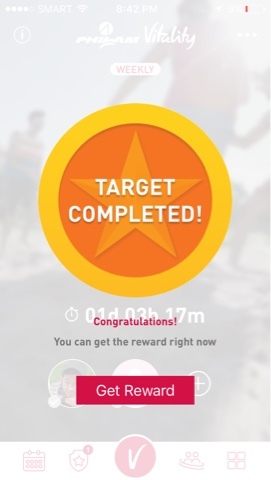 Suddenly the REWARDS section of the Philam Vitality App was enabled and now I can claim what I just walked countless steps and tons of kilometers for. 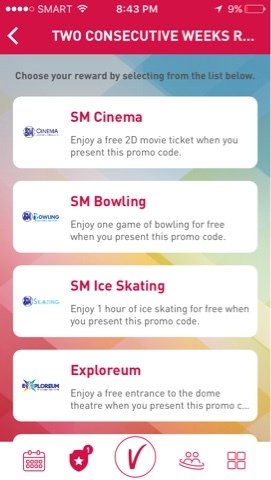 The app gets you the option to choose SM Cinema Tickets, a FREE game to SM Bowling, 1 Hour of Free Ice Skating, FREE Entrance to Exploreum, one FREE movie rental with streaming service BLINK, 200 Prepaid and Postpaid load with a network carrier, 200 peso GrabCar Credits, 200 pesos off your Lazada online shopping purchase, and 200 off your AGODA booking. Now how's that for motivation? How's that for your next workout? Wouldn't that make you happy? Working out has never been this much fun eh? Go download it now and enjoy the perks while it lasts! We are winning! Well no, we won!